With the first autumn rains and slush at home it becomes dank and uncomfortable. And when strong winter frosts strike, sometimes the cold settles in the apartment for a long time. Well, that means it's time to go to the store for a heater. Here are just too many varieties of them appeared: oil, and convection, and even infrared. Let's talk today about which heater to choose, having considered the features, advantages and disadvantages of each type of appliance. Heating devices are used when there is not enough heat from the radiators for sufficient comfort. Nobody wants to be cold, and the heat from the room is constantly leaving. 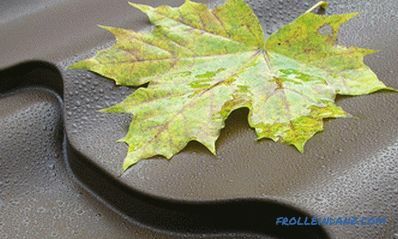 The colder it is on the street, the faster the precious heat disappears into the street. And three-fifths of it goes through the walls, floor and ceiling. This process is called transmission heat loss. The more doors and windows, the more significant these losses. In the corner apartments they are more substantial than in those located in the middle of the building. The remaining two fifths of losses are referred to as ventilation heat losses. They occur when air penetrates from the street into the apartment and replaces part of the warm air in the rooms of the apartment. Windows and doors with slots, ventilation system, duct hood - these are loopholes for cold outdoor air. 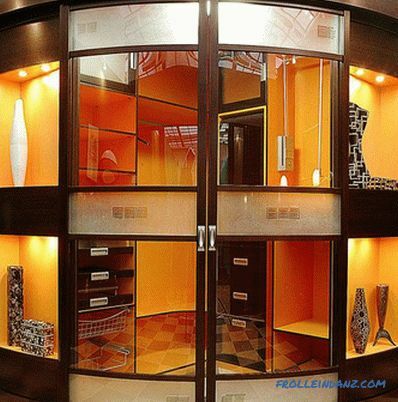 Therefore, it has long been customary to close windows for the winter and insulate the entrance doors. 1. Convection appliances heat the air and then mix it with cold air. 2. Radiation with long waves allows you to warm the air in the apartment, and the walls, floor and things in the apartment. 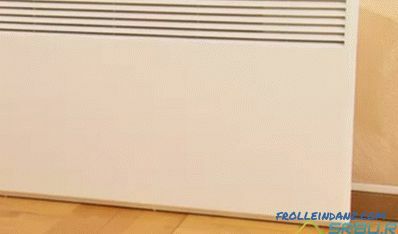 This is how infrared heaters work. 3. Heaters heat the air and direct it to the right place. It creates a pleasant warm breeze. Next, we will take a closer look at each of the types of devices, in order to find out finally which heater to choose for an apartment, so that it is efficient and economical, and the price is reasonable. These devices appeared in large quantities at the end of the last century. Then they were very popular, considered the best. This device is similar to the usual cast-iron battery, but, unlike it, has inside not water, but mineral oil. It is heated with the help of the teng, which is fed by electric current. Like the battery, this heater has several sections. The more of them, the better the return of heat. 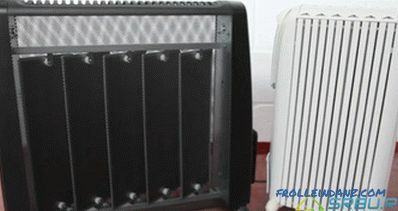 For oil heaters, the room is heated by convection. However, they also have wave radiation, but it is so small that it does not play any role in the operation of the device. The device should be chosen like this: for every 10 square meters of space, 1 kilowatt of power is required. This is a standard ceiling height of 2.7 meters. If the ceilings are higher, choose a more powerful heater. The devices in which the fan heater is built in are convenient - this allows reducing the time of heating the room. with the ability to work for a while (while the oil is still hot) during a sudden power outage. The device heats up for almost an hour - this is very long. The dimensions of the device, as well as its weight, are quite impressive. Strong heating of the casing (up to 70 degrees) carries with it the danger of burns. These heaters are not very economical - their average power is two kilowatts. Due to convection, dust particles constantly rise into the air. Therefore, if you suffer from dust allergies, deciding which heater to choose for your home, try to exclude convection-type appliances. Oil heaters - left with a protective cover on the right open type. As the name implies, these devices use only convection to work, and nothing more. At the bottom of the heater there are gaps through which cold air is sucked in. Heated with the help of the heater, it becomes lighter, and then this hot air rushes up to the ceiling. The larger the area of ​​the heating element, the more air, respectively, it can heat. Therefore, manufacturers are trying to increase this area by equipping the PETN tube with flat ribs of metal. Convectors are not as inertial as oil-type devices. They do not need an hour to warm up - just a few minutes are enough. This is because the coolant is not oil, but air itself.Due to the absence of unnecessary parts, the body of the convector is thin, no more than eight and a half centimeters. Mostly these heaters are designed for wall mounting, but there are also floor models - on wheels. Their power is chosen in the same way as in oil devices - 1 kilowatt per 10 square meters of space. They are distinguished by a reasonable price - from 2.5 thousand rubles. The body of these devices is heated no higher than 60 degrees. They do not make noise - this is a big plus. They have auto-on and auto-off, which are controlled by a thermostat. These heaters are equipped with overheating protection. A large room does not heat up with such a heater. The air in the room gets warm for a very long time - after all, convectors usually do not have a built-in fan. These appliances come in various sizes. The larger the fan blades installed inside the case, the greater the dimensions of the device. The heating air passes either through a metal spiral or through a ceramic heating element. Heat fan - the fastest way to raise the temperature of the air in the room. Turned on the device - and after half an hour in the room noticeably warmer. Moreover, from 1 to 1.5 kilowatts of power of such a device is no longer 10, but 25 square meters. For those who decide which heater is best to choose in terms of the most economical solution, we can advise this type of device. 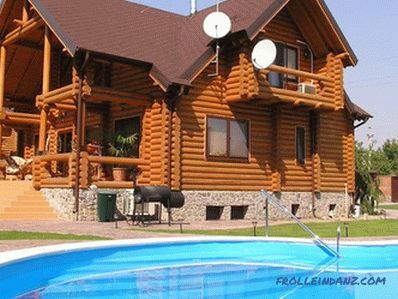 They are the cheapest - models with a spiral can cost 500 rubles, the price of appliances with a ceramic plate starts from 1,1 thousand rubles. They are the most economical - consume about 1-1.5 kilowatts of power. They have a thermostat that instantly shuts off the device when overheated. They are very light and easy to carry from room to room. These heaters are too noisy. They overheat quickly, so they cannot be used continuously for long enough. They raise a lot of dust. The simplest, portable fan heater. Infrared heaters are quiet, efficient, but expensive. These devices have a lamp inside (halogen, carbon or quartz) that radiates long infrared waves. Since our eyes do not see this part of the spectrum, the heater works for us imperceptibly. However, the radiation does its job, and all the objects in the room heat up. This is the floor, furniture, walls, and if a person is in the way of the waves, then his body is also heated. Therefore, you should not be on this path for a long time - you can overheat. 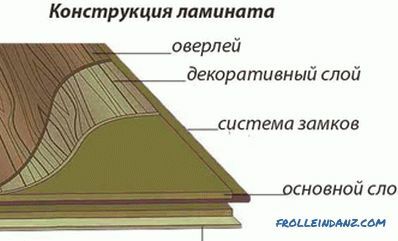 These devices are produced in floor, wall and ceiling versions. Sometimes they are installed not only in the room, but also on the terrace or balcony. The power is taken 1 kilowatt per 10 square meters. 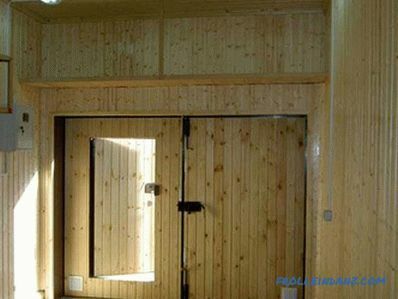 And inside the apartment you need 1.5 kilowatts for the same area. They work completely silently, without raising any dust particles in the air. When using them, the temperature of the air over the entire volume of the room is very quickly aligned - after all, all planes heat up simultaneously. As soon as you turn on the device, it immediately begins to heat the room. When turned off, it instantly cools. These heaters are more expensive than all others - they cost at least 2 , 5 thousand rubles. Only objects in the radiation zone are heated. A person cannot stay under infrared rays for a long time - this causes overheating of the body. 1. Remember once and for all: whatever sellers say, praising the beautiful models of heaters that do not dry the air, this can not be. Like models that do not burn oxygen or have efficiency, close to 100 percent. All this is advertising nonsense. 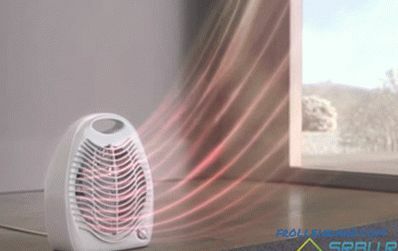 If any air heater (even infrared) is to increase the dryness of the air in the room, not one will burn oxygen - these are electrical appliances, and there can be no open fire in them. And the efficiency of all types of devices is very high and is close to 100 percent. Like this. 2. Therefore, the choice of the heater should be made on the basis of the area to be heated. The most important parameter depends on it - device power. 3. Naturally, one must look at which room needs heating. Perhaps this is a child, and you must choose a device with a protective casing.In dusty rooms it is better to use an infrared device, and where it is wet it is better to use a heater in a housing with protection against water. 4. Be sure to check the availability of a certification stamp for work in Russian power grids. Do not take too powerful a device to heat a small room - it will overheat. 5. Of course, it is better to buy a model of a famous brand, from a manufacturer that has been familiar to consumers for a long time. It is worth paying more, but to get a quality product. Cheap devices and will not last long, and the danger may be. After all, they often have no protection against overheating. And this may cause a fire. Yes, and cheap materials will not stand a good service: ferrous metal will rust, and a material such as abc-plastic is very fragile and will smell unpleasant when heated. Plug the heater into a separate outlet. In no case do not plug the plugs of two similar devices into one socket - due to possible flashing of the wires, a short circuit may occur. 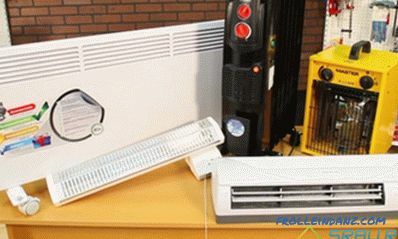 Whatever the type of heater, it should be farther than half a meter from any of the objects in the room. Never put the device under the window - because its body is often very hot, and as a result the curtains can light up. Do not dry wet things on the radiator - they will close the slots for ventilation, the heater will quickly overheat, which is fraught with big troubles.